Lesson 10. Chess game recording. Now you know how chess pieces move and what goal is to be achieved in chess. You can practice with other players personally or in Internet. But you shall improve. It is better to review any game after the game is over and try to find your mistakes. Or perhaps you wish to tell your friend about any interesting combination held in the game. How to do it? For this purpose there is chess game recording system. 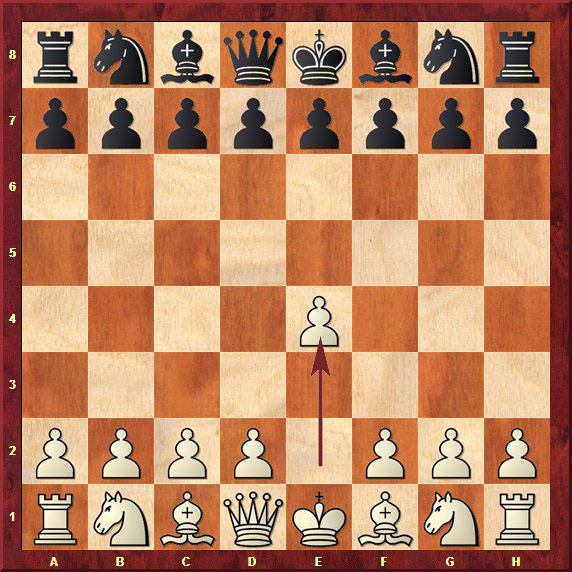 With its help, game can be recorded and then played back on the chessboard. Just like the notes of a musical piece. Chess game is recorded based on chess notation. You may have noticed that there are numbers from 1 to 8 horizontally, and Latin letters “a” through “h” vertically on the chessboard. Thus, each of 64 squares has its alphanumeric name. Click on the Board to zoom. Each square of the board is uniquely identified by its file letter and rank number. For example, in diagram below, specified square is called "d4" because it is placed on “d” vertical and fourth horizontal. It should be noted that in course of square identification the first letter is always indicated then number. Pawn – has no designation. In course of game recording process there are many other designations, but they are not so important. 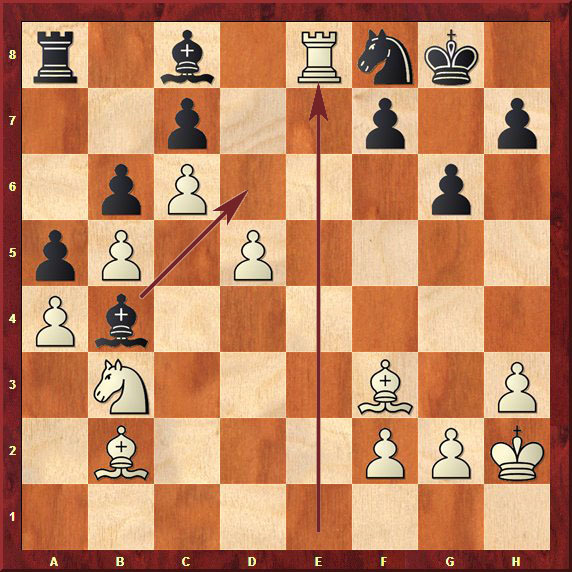 Knowing designation of squares and pieces, we can easily record any chess move. 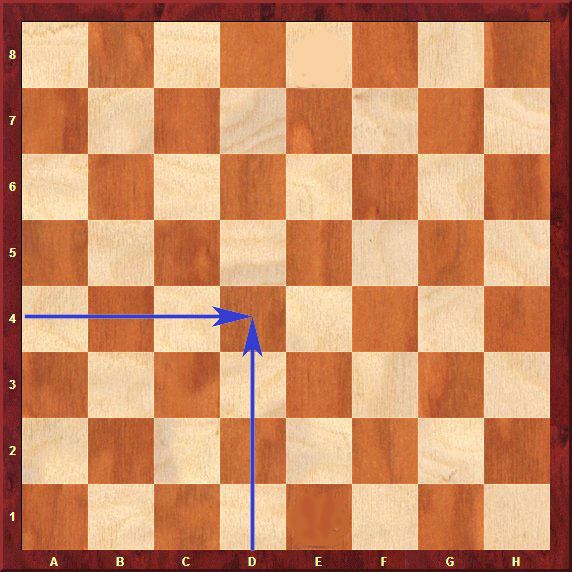 In the setup in diagram below white has made a rook's move, indicated by the arrow. It is written like this: Rе1-е8. 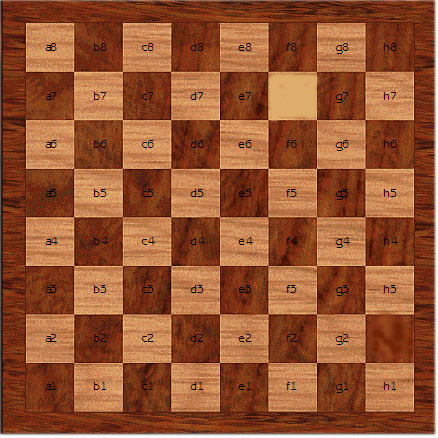 This means that rook moved from the square “e1” to the square “e8”. Black answered with bishop move and declared the check to thee white king Bb4-d6+. That is, bishop moved from square “b4” to “d6”. It shall be noted also that it is compulsory to keep recording for the most tournaments. That is all, in fact, to be said about chess game recording. 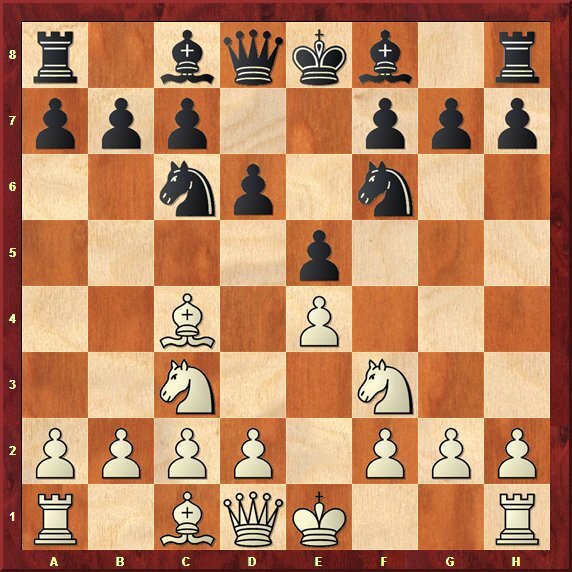 By means of this technique you can reproduce any game on board played before, let’s say, a few years back or to look the game of grand chess masters. We have to study the last, but rather important lesson, that is not aimed to teach you any chess rules, but it does not lose its significance because of it. Last Lesson.